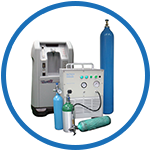 The system consists of "High Speed High Pressure Oil-Free Compressor" and 20 Litre PSA Oxygen Concentrator. The Compressor compresses and fills the low pressure oxygen generated from the Concentrator into different size of oxygen cylinders at high pressure. By using this system, you can generate and store oxygen whenever and wherever you like. It is very suitable for small hospitals, medical clinics and any suitable places where delivery of oxygen cylinder is not convenient. 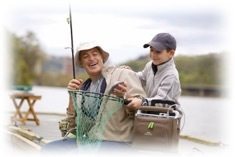 On-site oxygen generation and storage system enables you to enjoy Medical Oxygen whenever and wherever you need!